Ok, So here is one of my most favorite experiences that I’ve ever done, Bioluminescence Paddle. This is a must do. It was 3 am and we were just leaving a club in downtown Orlando and I had this great idea. Insert lightbulb. Well lets go kayaking. A friend and I rushed home grabbed our sea touring kayaks and headed out. we had no idea but when we got into the water it looked like it was glowing. with every stroke that we took the water would swirl in beautiful blue colors. Then from out of nowhere a school of fish were darting underneath us and the water lit up with streaks. It’s one of those moments that you can’t explain. Oh and the dolphins swimming in the water looked magical. We kayaked till sunrise. After we got home we looked it up and found out this happens during florida’s warmer weather months. 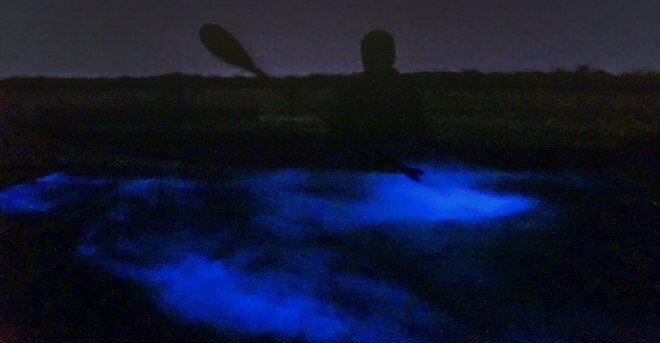 Florida’s Bioluminescence is something everyone should try. What makes our tours different from the rest? We limit our tour to 16 guests, this way you can get lost in thought not lost in a crowd. We offer single kayaks, tandem kayaks, and canoes. You chose what you want to paddle. 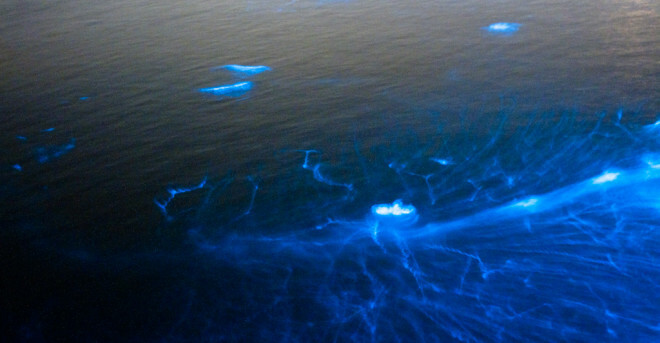 We constatnly update our meeting locations to where the bioluminescence is glowing the brightest. We offer private tours at anytime to accommodate your group of 8 or more!